SANTA FE – The Department of Game and Fish is seeking public comments on proposed revisions to the bighorn sheep and javelina rules. The department is proposing small changes in bighorn sheep hunting across the state, including: adjusting seasons for calendar dates; increasing ram hunting licenses; modifying hunt dates to accommodate more hunters; and adding Rocky Mountain bighorn sheep ewe hunts in certain herds as a population management tool. For javelina, the department is proposing adjusting season dates for a new calendar year. Las Cruces: 6 to 7 p.m. Jan. 30 at the Department of Game and Fish office, 2715 Northrise Drive. Albuquerque: 6 to 7 p.m. Feb. 6 at the Department of Game and Fish office, 3841 Midway Place, NE. The proposals can be viewed on the department website, www.wildlife.nm.us. 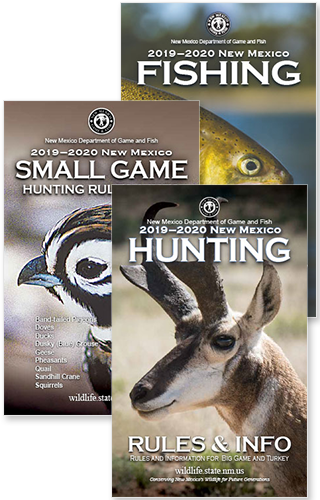 Comments on the proposed changes can be provided by mail: New Mexico Department of Game and Fish, Attn: Big Game Rule Development, P.O. Box 25112, Santa Fe, NM 87504; by email, DGF-Bighorn-Rules@state.nm.us, DGF-Javelina-Rules@state.nm.us, or in person at one of the meetings listed above.